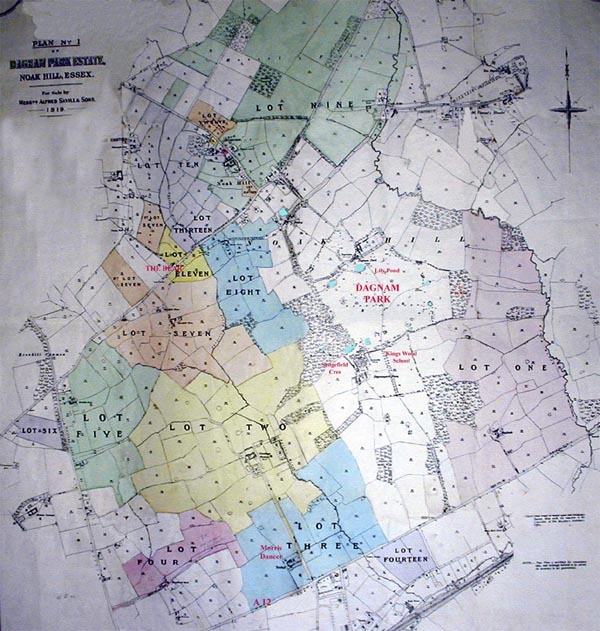 In 1919 the Neaves sold off a large part of their Dagnams estate, retaining the central area which includes what is now mainly Dagnam Park. In 1946 the London County Council started compulsary purchase procedures. Finally gaining control of this land and some surrounding farmland in January 1948. 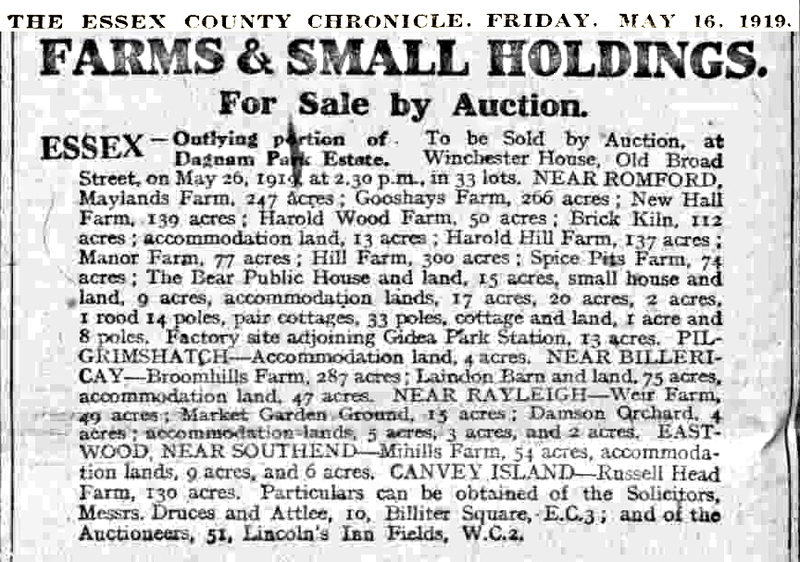 It eventually became the Harold Hill estate. If you would like to download an auction map in sections with a key to the sections, then download the zip file here. This is a large file and may take several minutes to download.